These important legal documents should be completed promptly after death in order to ensure that there are no delays in funeral arrangements. The medical certificate of the cause of death (MCCD) books are provided on each hospital ward, and they should be completed as soon as possible if the death does not need to be reported to the coroner (see below). It is important that the guidelines laid down at the front of the books are followed and that the cause of death is accurately given. Abbreviations (e.g. CCF, CVA) and modes of dying (e.g. organ failure, coma, syncope) must not be used. As most bodies are cremated, the doctor who has cared for the individual in the final illness must complete the first part of the Cremation Form (Form-4 - Certificate of the Medical Attendant). This will usually be completed by the doctor who has previously completed the Death Certificate and all questions must be answered. The doctor who fills out the first part of the cremation form must make themselves available for contact over the next 48 hours (e.g. by pager or mobile phone) as the law requires that the doctor completing the second part of the form (Form-5) must discuss the case with him/her. Delays or errors in completion of these forms may lead to postponement of the funeral and additional distress to relatives of the deceased. Following confirmation of death, Last Offices should be carried out in compliance with the Trust Policy Care of the Deceased Patient. Further details are available in the Trust Guidance Document Handling of Cadavers. Once the patient is prepared, Serco must be contacted to convey the deceased to the Mortuary unless your own dedicated portering staff are available. deaths within hospital or a care home of anyone with dementia (unless it is known that they are NOT subject to a Deprivation of Liberty Safeguarding Order). 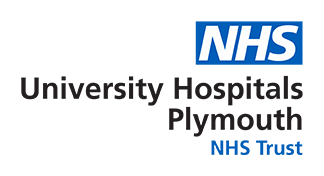 The Plymouth Coroner (and his/her officers) can be contacted during working days 08.00 and 16.00 on 01752 439679 and (01752) 439681(internal: x39679 & x39681) and it is useful to have the case notes available when calling. The Coroner may either advise you on how to complete the death certificate or order an autopsy in order to establish a cause of death. Coroner’s autopsies do not require the consent of relatives, however, the Coroner will liaise closely with the relatives so as to keep them fully informed. If there is any doubt as to the need to report a death to the Coroner, then his/her office should be contacted and the case discussed. More detailed guidance from the Coroner on the reporting of deaths are available from the clerks on all wards and from the Bereavement Office during normal working hours (01752) 439492 (internal: x39492). Results of the post mortem examination can be obtained with permission of the Coroner. Please note that the Coronial system in England is under review. If you intend to request a hospital/consented autopsy circle note #2 on the medical certificate of the cause of death and endorse part-B on the reverse of this form (this informs the Registrar of Deaths who will send out a form for additional information following the autopsy). It is helpful to inform the relatives that an autopsy will be requested at an early stage. The medical certificate of the cause of death and the patient’s notes are then sent to the Bereavement Administrator (Tel Ext: 39492) of the Bereavement Service Office. Autopsy consent forms and guidance notes are provided by the Bereavement Administrator who will also arrange for the doctor to meet with the relatives. Consent must be obtained from by the highest ranking qualifying relative as defined in the Human Tissue Act 2004 (unless the deceased gave permission for autopsy or appointed a nominated representative before death) and should be sought by the most senior clinician involved in the care of the deceased. The person seeking consent should have had training in bereavement management and have witnessed a post mortem examination. The autopsy consent form allows a relative to limit the examination to an area of interest (e.g. brain, thoracic or abdominal cavities). In most autopsies tissue samples are retained for histological assessment, and for some diseases, retention of a whole organ may be desirable to allow detailed examination following fixation (e.g. brain or heart). Relatives may refuse consent for the retention of tissue samples or organs. Any restrictions on the autopsy may limit its value and clinicians may find it useful to discuss each case with the pathologist before meeting relatives to discuss the likely impact of restrictions. Please refer to Trust policy TRW.HGV.POL.216 – section 9 - Consent for the use of human tissue and requesting autopsies and appendix 19 – Procedure for obtaining Consent for Adult Autopsy. The autopsy request form should include a summary of the clinical findings, indicate specific areas requiring clarification and highlight any infections present. Following completion of these forms the Bereavement Administrator will send the notes to the Anatomical Pathology Department. Doctors and medical students who have attended the patient during their last illness are welcome to view the autopsy. As most autopsy preparatory work can be completed before the doctor is called, a minimum amount of their time need be required. Autopsies are usually performed in the mornings. However, there is no set time for the demonstration and interested doctors are advised to contact the Department regarding their particular patient. A clinical firm may wish to nominate a doctor to attend and report back to the team the findings at autopsy. The results of hospital autopsies are sent to the clinician in charge and general practitioner. If general practitioners wish to request autopsies they should contact the Department of Cellular and Anatomical Pathology (01752 792355) to discuss the case with the pathologist and obtain the relevant forms. Fetal, perinatal and infant autopsies are currently carried out at the John Radcliffe Hospital, Oxford. Separate request and consent forms are available in the central delivery suite. In addition to the completed request and consent form, a photocopy of the full obstetric history relating to the pregnancy is also required. Babies are sent to the John Radcliffe Hospital weekly and will remain there for 7 days before return. Occasionally, there is a need to retain the baby for more than one week eg if organs or tissues have been retained for examination and have been requested to be returned to the baby prior to return to Derriford. Bodies can be viewed in Derriford Hospital Mortuary, by prior arrangement with the Mortuary staff (Ext. 52114). They provide a routine service from Monday to Friday between 08.00-16.30 hours. A 24-hour emergency service is provided throughout the year to deal with urgent enquiries and traumatic incidents. Body viewing by next-of-kin should be undertaken between 0800 and 2000 by arrangement with mortuary staff (outside of these hours in exceptional circumstances only). Any other out-of-hours mortuary enquiries should be made to the on-call Anatomical Pathology Technician (contact via switch board).